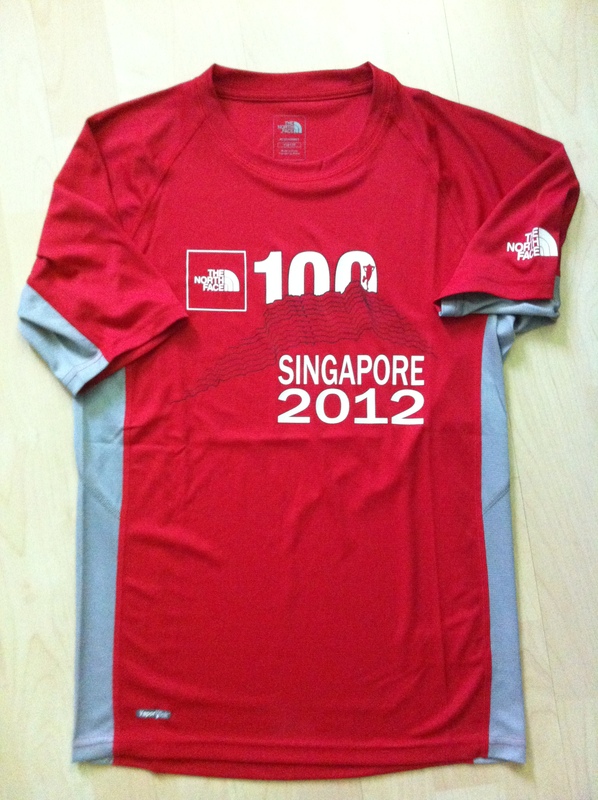 I know I said last post previously but I just collected the race pack for TNF100 2012 Singapore and wanted to get this out before leaving. Gonna make it quick, gotta pack! Sad that I am not running, but there is no way I am going to risk straining my leg as I think I might have just recovered. Lucky some kind hearted soul has decided to take over for me. Okie enough griping, what’s in the bag? 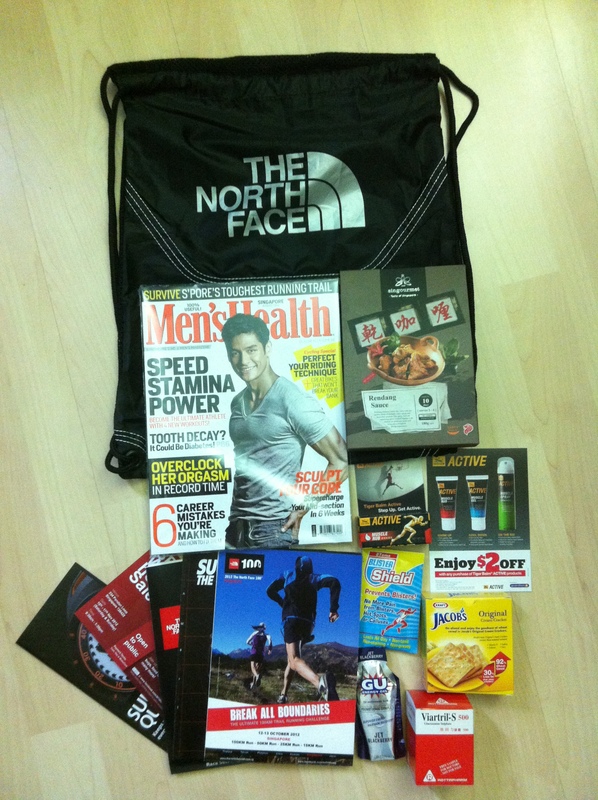 In comparison to last year, see what was inside TNF100 singapore 2011 racepack. 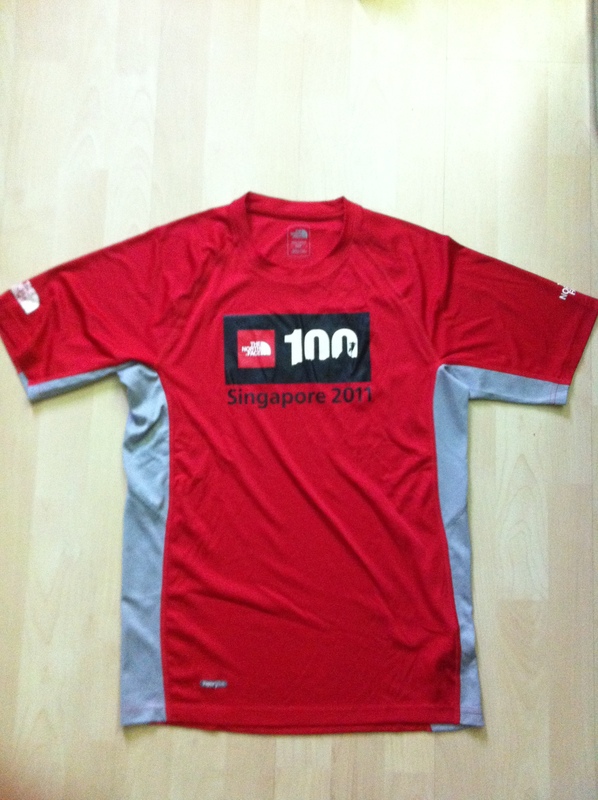 I really wish they would have put in more thought in the design of the tee and am not sure if they really have to use red as the official colour…. am guessing they do, but this will be going into the pile of tee shirts that I hardly use. Sorry Northface, just being honest here. Tanks not tees are my choice of workout attire anyway. Nothing personal.